It has always been a shocker when your favorite onscreen pair gets into their characters bit too much and gets married in real life. The most common reason these couple have said about the marriage is that the level of comfortably they enjoy in between as they are from the same industry. However since they are movie stars the biggest curse they have to bear is to sacrifice their personal life. Due to this, their divorce are also being celebrated in the same way as their marriage. Thanks to the over importance for their marriage there is a misconception that onscreen pairs who gets married in real life are not serious about their married life and they will soon be divorced. This list here contains all those onscreen couple who got married in real life. Both of them are one of the most talented actors in South India. When they announced their marriage news people were shocked because of the age difference. Since Nazriya was at the prime of her career her fans were also raged. Lots of people started showering the couple with abuses as well as mockery. But the couple was not even slightly bothered with this. Nazriya - Fahadh started to live their beautiful life and showed that age is just a number and what's required for marriage is unity and maturity. Bangalore Days was the last Malayalam movie of Nazriya in Malayalam. And the shocker is that both of them were husband and wife onscreen in the movie. The couple got married in a grand style at Trivandrum. After marriage Nazriya has kept away from her acting career and has said multiple times that she has plans for a comeback and at present her mind is not in movies. Fahadh's on the other hand is is going through a good phase in his career after lots of flops. 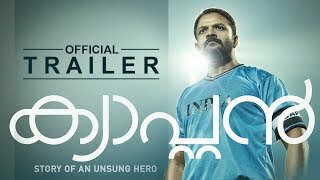 Fahadh bounced back in 2016 with the super hit movie Maheshinte Prathikaaram. The most controversial marriage ever in South Indian movie industry. Lots of drama has happened in the first marriage of Dileep in which he was married to Manju Warrier. Manju and Dileep were also onscreen pairs and both of them fell for each other and got married. After more than a decade both parted ways and Manju Warrier became busiest actress in Mollywood. Dileep also continued with his acting career. However for so many years his name has been associated with his co actress and on screen pair Kavya Madhavan. Media as well as some people started weaving their own stories for years and both of the couple were announced as married so many timkes. Anyhow people had the common sense discard the news as fake. When the news came out that Dileep married Kavya for real people were shocked. They showed their rage via social media website discarding the face that their personal life is absolutely theirs to live. Samyuktha was in the prime of her career when she decided to get married to Biju Menon. Rumor started spreading that both couple were in a relatonship after movies like Madhuranombarakkattu’, ‘Mazha’, ‘Meghamalhar etc. The chemistry between the couplw was so much intense as well as beautiful that people started saying that both of them are meantt for each other. Both the couple has been married for 12 years and and is considered as one of the most ideal couple in mollywood. Jayaram when first got introduced through the movie Aparam by Padmarajan stood up in respect when he saw Parvathy who was an established actress already. Later on the lucky couple became pair in so many movies and love started to sprout. Jayaram himself has admitted in an interview that during the shooting of Puthiya Karukkal both of them were deeply in love. Parvathy - jayaram got married on 7, 1992 at Guruvayoor. The couple has two kids Malavika and Kalidas. 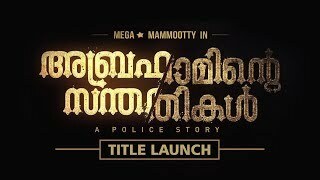 Kalidas Jayaram has been launched recently in Tamil and his Malayalam movie Poomaram will soon be released. Manoj K Jayan - Urvashi had the most dirtiest fight among Mollywood couples. Both of them has thrown dirt at each other so much after and before their divorce. Both Manoj K Jayan - Urvashi got remarried and has been in enmity for a long time. The couple has got a kid Kunjatta who at present is living with his father and step mom. Manoj K Jayan - Urvashi chemistry worked out very well in movies like Pidakozhi Koovunna Nootandu, paalayam etc. Mukesh was a well accomplished actor in Malayalam when he married actress Saritha who was a big star then. Saritha was acting in almost all the movie industry from South India back then. Everything was fine until after so many years both of them parted their ways. Saritha came out in front of the public and listed series of allegation against Mukesh mean while Mukesh and his family rubbished all those. Mukesh is now married to classical dancer Devika. Sreenath - Shanthi Krishna marriage is one of the tragic among Mollywod couples. Both of them fell fo reach other during the shooting of Ithu Njangalude Katha’ and after a while got married. However the marriage didn't last for long and both them got divorced. Sreenath in 2010 was found dead in a hotel room and is said to have committed suicide. Shanthi Krishna was no where to be seen till 2016. She is a part of a latest Malayalam movie and in an interview said that everything was fine until Sreenath became a control freak.